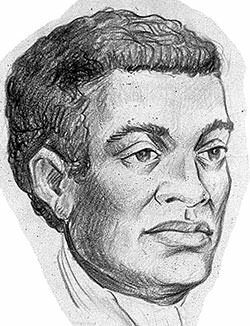 Benjamin Banneker was an African American intellectual who constructed a wooden clock; predicted the solar eclipse of 1789; was an almanac author, a rare achievement for his time; and possessed advanced knowledge of astronomy and mathematics. Here are 10 interesting facts about the life and accomplishments of this famous American icon. Benjamin Banneker was born on the 9th of November 1731 in Baltimore County, which is located in the northern part of the U.S. state of Maryland. His mother Mary was a free African American while his father Robert was an ex-slave who purchased his own freedom from slavery. This made Banneker among the few African Americans of the time who were born free. Though it cannot be established with certainty, several biographers maintain that his mother Mary was a mulatto as she was the child of Molly Welsh, an Englishwoman and Banneka, an African freed slave. Quakers is a Christian sect which emerged in mid-17th century England. The Quakers are known for their advocacy of racial equality and for their contributions to the anti-slavery movement. When Benjamin was a teenager, he became friends with Peter Heinrichs, a Quaker. Heinrichs gave Benjamin access to his personal library. Benjamin also periodically attended Heinrcihs’ one room school. These were his only classroom instructions and he did most of his learning, including that of astronomy and advanced mathematics, through voracious reading of borrowed books. The Banneker family owned a 100-acre tobacco farm in the Patapsco River valley in rural Baltimore County. It was here that Benjamin was raised and spent nearly his entire life. He started helping the family with work on the farm as soon as he was old enough to do so. Though he is known for his intellectual achievements, Benjamin primarily worked as a farmer through his life. While he was in his early twenties Banneker studied clockworks through a pocket watch that he borrowed. He was able to construct a clock made entirely of wooden pieces that struck to the hour and continued to work for over forty years. There is dispute over whether it was the first wooden clock made in America with even the United States Postal Service crediting Banneker with the feat but several sources claiming otherwise. Whatever the case, it was still an important achievement and enhanced his intellectual reputation. The Ellicott family, who were Quakers, moved to Baltimore County and bought land near the Banneker farm. Benjamin had some knowledge in astronomy and George Ellicott, one of the Ellicotts and an amateur astronomer, loaned him books and equipment to start a more detailed study on the subject. 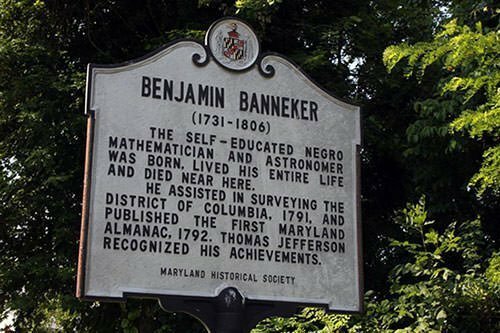 Banneker started making astronomical calculations as early as 1788 and predicted the solar eclipse that occurred in 1789. His correct prediction contradicted those of better-known mathematicians and astronomers. In 1791, Benjamin Banneker was selected in a team led by Major Andrew Ellicott, cousin of George Ellicott, to survey the land which would eventually become Washington, D.C. His primary work there was to make astronomical observations. However, after only three months, he was forced to leave the job due to illness. Ephemeris is a table giving the calculated positions of celestial bodies throughout a period. 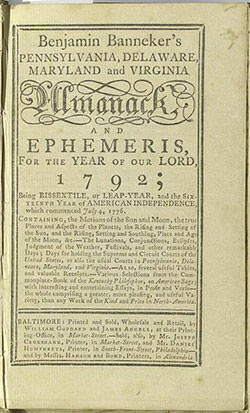 Benjamin Banneker included his ephemeris in his series of almanacs which were titled Pennsylvania, Delaware, Maryland, and Virginia Almanac and Ephemeris. His almanacs were published annually from 1792 to 1797 and sold in six cities in the four states. Apart from giving astronomical information, they contained his opinion pieces, literature, and tidal and medical information. They were a commercial success and spread his fame. In 1791, Banneker sent a letter to Thomas Jefferson, who was then U.S. secretary of state. It criticized Jefferson for owning slaves and urged him to work for the betterment of African Americans. Banneker enclosed in it a hand-written manuscript of his 1792 almanac. In his reply Jefferson praised Banneker for his accomplishments citing them as proof against the doubts against his race. 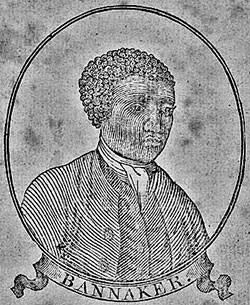 Banneker’s work was also praised in the British House of Commons by several abolitionists including William Wilberforce. In his later years Banneker sold much of his farm land mainly to the Ellicotts so that he could concentrate on his other pursuits. Apart from his astronomical achievements, he produced a dissertation on bees and a study of locust-plague cycles. He died in his log cabin on October 9, 1806, exactly one month before his 75th birthday. Banneker never married nor had children. During his funeral a fire broke out which burned many of his belongings and papers. Benjamin Banneker was one of the first important African American intellectuals and his accomplishments were important in proving the capability of his race to sceptics. He remains one of the most celebrated African American icons in the United States. 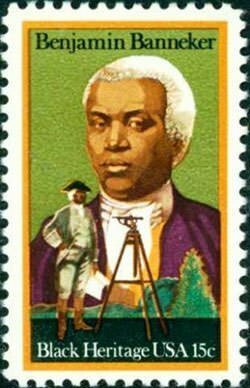 Numerous recreational and cultural facilities, buildings and educational institutions have been named after him and in February 1980 the US Postal Service issued a 15 cent commemorative postage stamp featuring Banneker. No. He died in 1806 as mentioned in the article.